You can never be too prepared when hunting, too many things could go wrong that can result in you getting hurt. 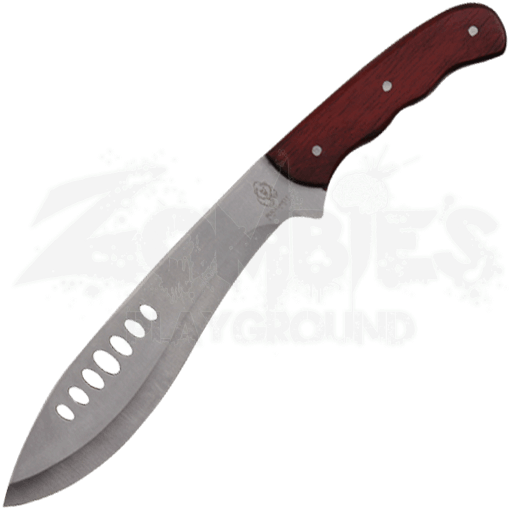 Be prepared and stay safe with the Buckshot Hunting Knife! Its unique design makes it incredibly handy in the wilds! The spine of this uniquely shaped, stainless-steel hunting knife possesses a slight downward curve towards the point, which is offset by a swell in the blade width near the middle of the blade, providing extra weight near the front of the blade for optimal swinging and chopping capabilities. Seven ovular holes have been cut from the face of the blade, reducing the overall weight of the blade without sacrificing power or strength. Three steel rivets secure the tang of this elegant survival knife to its wooden handle, which has been shaped to best fit your hand. 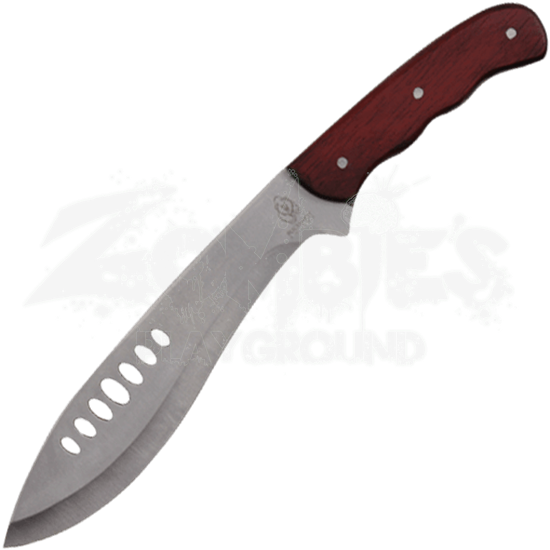 This durable steel blade comes with a nylon sheath that features a loop for securing the knife handle and a belt loop for easy carry. Be prepared and bring this survival tool with you on your next hunting or camping trip, or give it to an outdoor enthusiast you may know as an incredible gift!